Homeschool convention season is upon us and for some it's met with excitement and joy - it's a time to reflect on why we started homeschooling in the first place, to browse new curriculum choices, and listen to some amazing speakers. Others who are new to homeschooling though may feel overwhelmed, unsure of where to start, or daunted by the price of books! 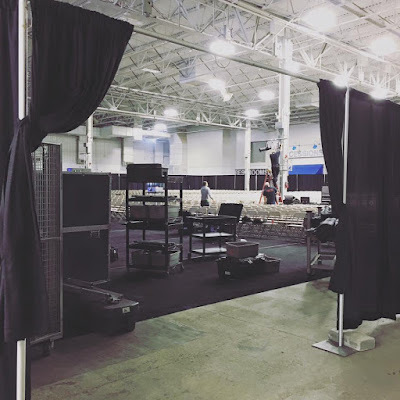 I thought what better way to include everyone that an ultimate round up of posts on what to bring to convention, what to do, how to stay on budget, and more. 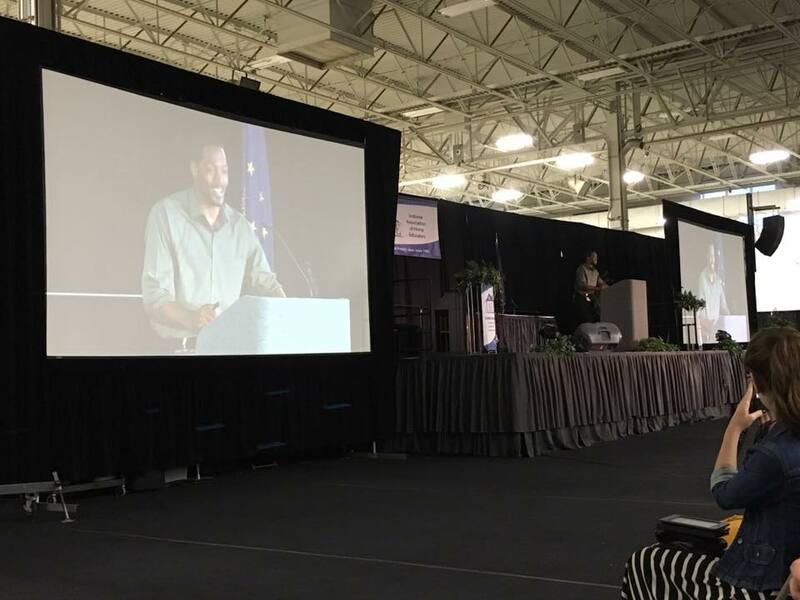 First though, I want to highlight what I consider to be the most important homeschool convention, the Indiana Association of Home Educators Convention. As a Hoosier homeschool mom, the IAHE is there every step of the way helping new homeschool parents, hosting a statewide discussion group for anyone to chat about all things homeschool-related, and working to protect our homeschool freedoms by keeping track of laws & bills concerning homeschoolers. This year the IAHE Convention is going to be held on March 24 and 25. Some of the speakers include "The Busy Mom" Heidi St. John, Steve Demme of Demme Learning, Mark Hamby of Lamplighter Books, and Zan Tyler fron Apologia, just to name a few. There's so much good stuff going on - the Learning Express for kids, Crew 4:12 for teens, the giant Exhibit Hall to browse - make sure you check it out by clicking the image below! Now on to the round-up...we've got something for everyone! 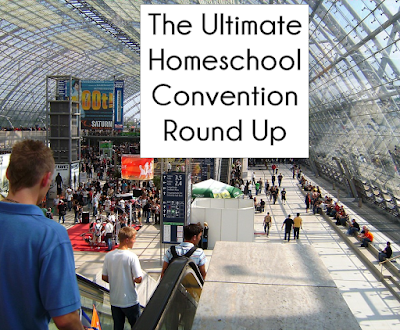 Wondering what the big deal is about homeschool conventions? Check out Homeschool Your Boys for her take on Why YOU Should Attend a Homeschool Convention. Proverbial Homemaker also shares 9 reasons Why You Should Attend Your Homeschool Convention.- and a few options if you absolutely can't. What will you gain at convention? Encouragement from seasoned moms, renewed vision, and more - check out Janelle Knutson's 5 Reasons to Attend a Homeschool Convention. Interested in learning more about Homeschool Freedom? Wonderfully Chaotic shares how going to your state homeschool convention can help to protect the rights we have as homeschoolers. What does your state homeschool organization do anyway? In All You Do shares 5 Reasons You Should Connect With Your State Homeschool Group. Ok, you've registered for the convention. Now what? This Crazy Homeschool Life shares 10 Things to Do After Registering for a Homeschool Convention. Wonderfully Chaotic covers the basics of Convention Prep - who and what you should bring, along with why you should go. 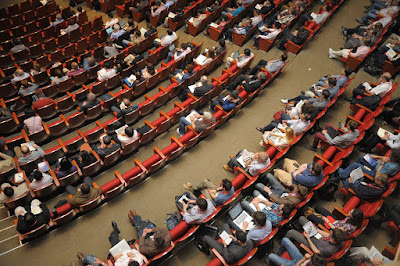 Is this your very first convention? Check out In All You Do for ideas on Making the Most of Your First Homeschool Convention. Taking kids to convention? Worried that you won't be able to keep them busy? Never fear! This Crazy Homeschool Life can tell you How to Keep Kids Occupied at a Homeschool Convention. If you're taking kids, maybe you're interested in How to Turn a Homeschool Convention into a Field Trip! The Heart of Michelle has some excellent ideas on how to involve and include your kids. Or maybe this year you're choosing to go to convention by yourself. 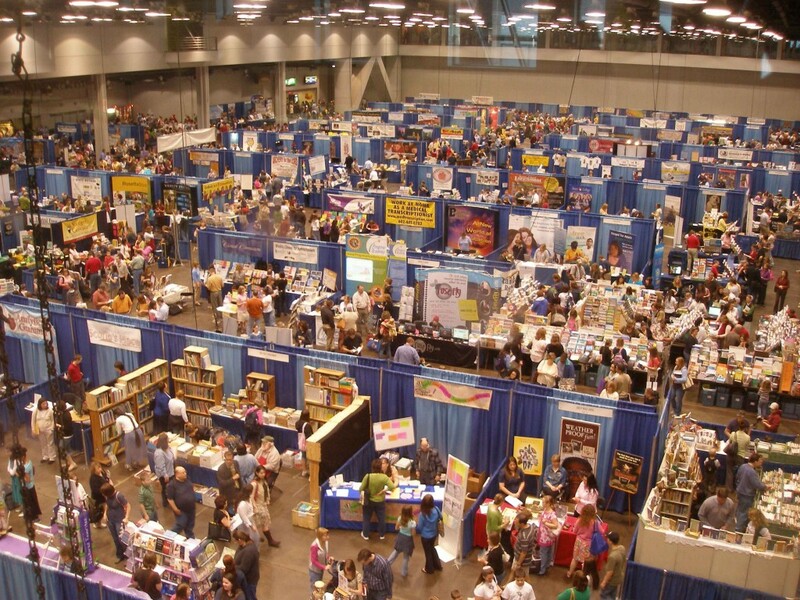 Adventures in Mommydom has you covered in Tips For Going to a Homeschool Convention All By Yourself. The Heart of Michelle has 10 Useful Tips for Attending a Homeschool Convention including creating an itinerary, what snacks to take, and how to pace yourself. Are you a list person? Check out This Crazy Homeschool Life's Free Printable Pre-Convention Checklist Set to keep you on track. Want to know what NOT to do at the convention? Check out Adventures in Mommydom where she shares How to Be a Terrible Convention Guest! Minivan Ministries has Homeschool Convention Tips and Tricks to help you research, know what to wear, what to bring, what to do, and put into action what you learned. Need help budgeting on curriculum and homeschool materials? Adventures in Mommydom shares How to Not Break Your Budget at a Homeschool Convention. Feeling overwhelmed or like you can't measure up? Don't worry! Homeschool Your Boys shares the 5 Dangers of Attending Homeschool Conventions and how to combat them. While I prefer to support local conventions, there are lots of benefits to attending a bigger scale event like the Great Homeschool Convention. Thinking Kids Blog shares dates, locations, and lots more about GHC's events in 2017 on THE Homeschool Event of 2017.